A proactive firm of accountants that work for you! Abraham and Associates is a modern accountancy practice with a clear vision to provide high-quality tax and accounting solutions to small and growing businesses and entrepreneurs. The firm is built on strong work ethos and give utmost importance to technical expertise, value and client care. We continue to build on our strong reputation for providing excellent advice and first class service to our business and personal clients alike. We service a growing portfolio of small and medium sized businesses across many sectors. In fact, a significant part of our growth come from the growth of our clients’ businesses and the referrals they brought in, which we believe is a testimony to our commitment. Please feel free to check out our Customer Testimonials Section to see what our clients have got to say about us. In addition to the traditional accounting and tax services, we also provide advice on how to improve and develop your business. Whether you need an integrated business strategy, access to corporate finance or specialist tax advice we are here to help you achieve your goals. We firmly believe that our success is directly linked to the success of our clients. This realisation continuously drives us to do everything that is possible to put more money into our customer’s pocket, whether it is through our innovative tax planning ideas or our business advice and support. Contact us today to find out how we can help you to achieve your financial objectives. Our mission is to is to provide clients with exemplary personalized tax, accounting, and consulting services by implementing practical solutions for our clients’ diverse needs. We see it from your point of view. Xavier Abraham is the founding director of Abraham and Associates Limited. Xavier brings with him over sixteen years of experience in the accounting and finance industry gained with some of the top firms in the country. 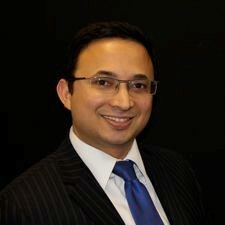 Xavier started his career in accounting & finance industry in 1999. He trained and qualified with a leading accountancy firm in South London where he obtained in-depth experience in accounting, taxation, and financial planning. Subsequently, he moved to Grant Thornton UK LLP as a tax manager within their South Central unit specialising in personal tax planning and trust and estate tax planning. Later on, he joined a multinational corporate services provider in London as their head of tax, where he remained in the role until the formation Abraham and Associates Limited in 2011. Xavier has particular expertise in advising small to medium sized enterprises and start-up businesses, ensuring they start their business on the right foot. He is also very experienced in dealing with non-residence and non-domicile aspects of UK taxation, and on double tax treaty matters which are particularly important for people/businesses that conduct business internationally. The combination of his extensive experience and diverse skills make him best placed to offer the best suitable solutions for his clients.